The Facebook phenomenon is impossible to miss. Not only is the social networking site continuing to grow, user demographics have moved well beyond its initial base of college students. As of September 2009, almost half of U.S. Facebook users are older than 35 and nearly one-fifth are over age 45. Also proliferating are the ways businesses can use Facebook to promote their products and services and engage their customers. Given multiple options, where can you learn what makes the most sense for your online business? The new edition of The Facebook Marketing Bible by Justin Smith is an excellent place to begin. The sheer volume of information in its 279 pages – complete with strategic tips and how-to tutorials – could add up to the best investment you've made in your business this year. Share/post your Page on your Facebook profile. This will convert more friends and profile visitors to visit the Page. Create Events within your Page. When fans RSVP, their friends will see the news in their News Feeds. Post messages in related Groups. Use Facebook's search function to post messages in related groups about the existence of your Page. If you don't feel comfortable "spamming" these groups with unsolicited Wall posts, try messaging the group admins and officers to ask their permission to promote your Page within their group. They may even be willing to promote your Page for you. Email the Page URL to your mailing lists and invite contacts to become Facebook "Fans" of your page. Buy Social Ads to promote your Page. Facebook is hoping to promote Pages more by integrating Page traffic stats into its Social Ads advertising service. Concludes Smith: "Also, remember that whenever someone becomes a fan of your Page, that news appears in their Mini Feed and their friends' News Feeds." The Facebook Marketing Bible is available for $49 as an e-book via PDF download from Inside Facebook. Beverly Hills, CA – The Academy of Motion Picture Arts and Sciences will explore what could be in the future for motion pictures in "Where Do We Go from Here?" on Thursday, December 2, at 8 p.m. at the Academy's Samuel Goldwyn Theater in Beverly Hills. The program will be presented by the Academy's Science and Technology Council and hosted by writer-director-producer Jerry Zucker. "Where Do We Go from Here?" will examine topics ranging from artificial intelligence to performance capture, 3D and non-traditional theatrical venues. Joining Zucker will be Council member and production designer Alex McDowell ("Watchmen," "Minority Report"), immersive art and entertainment expert Ed Lantz, neuroscientist Eric Haseltine and transmedia storytelling expert Jordan Weisman. Zucker's interest in the future of cinema is evident in his role as a co-founder of the Science & Entertainment Exchange, a program of the National Academy of Sciences that provides entertainment industry professionals with access to scientists and engineers. His feature film credits include "Airplane!," "Ghost," "My Best Friend's Wedding," "Rat Race" and "Fair Game." Tickets for "Where Do We Go from Here" are $5 for the general public and $3 for Academy members and students with a valid ID. Tickets are available for purchase by mail, at the Academy box office (8949 Wilshire Boulevard, Monday through Friday, 9 a.m. to 5 p.m.), or online at www.oscars.org. Doors open at 7 p.m. All seating is unreserved. The Samuel Goldwyn Theater is located at the 8949 Wilshire Boulevard in Beverly Hills. For more information call (310) 247-3600 or visit www.oscars.org. Lalah Hathway Heats Up the Atmosphere at BHCP Live! The sound of music filled the air with the vivacious voice of Lalah Hathaway, daughter of Donny Hathaway, accompanied by her beautiful background singer Toni Scruggs, and her band featuring dynamic drummer Eric Seats, as Lalah Hathaway was a featured artist at BHCP Live!, an on-going live concert series at Baldwin Hills Crenshaw Plaza. 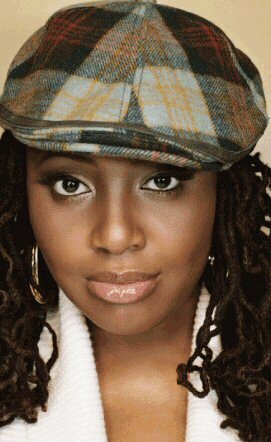 Lalah Hathaway is a sincere, whole-hearted, soulful singer with messages of love and inspiration in her music. Her live concert, which was held inside the Baldwin Hills Crenshaw Plaza located in the Southwest Area of Los Angeles, California, raised the attention of some of her performing peers like Rachelle Ferrell, Vesta Williams, and Dave Thomas who dropped in to visit and sing along side Lalah, thus adding to the entertainment and the excitement. The event was hosted by Nautica De La Cruz, on-air personality from Radio Free 102.3 KJLH radio, Los Angeles, who greeted hundreds of Lalah fans that attended the event before introducing Lalah and her band to the stage. Once Lalah and her band got on stage, the atmosphere of the plaza suddenly rose with excitement as more and more people gathered and shuffled around the stage and upper level areas, jockeying for prime position to experience the entertainment. Lalah was accompanied by vocalist Toni Scruggs, and band members, drummer Eric Seats, keyboardist Mike Aaberg, basist Timothy Bailey, and guitarist Jairus Mozee, each of whom gave some dazzling solos during the seemingly short one-hour concert. In my opinion, “you just can’t get enough Lalah”. Shortly after the performance, singer Rachelle Ferrell commented about Lalah in an on-the-spot interview with ED MAGIK TV host Holland Baxley. “Her voice is like rich, organic, melted chocolate”, said a somewhat giddy Rachelle Ferrell, who was very excited to see Lalah, after just returning from a trip to Tbilisi, Georgia. Holland also interviewed keyboardist Mike Aaberg, basist Timothy Bailey, and guitarist Jairus Mozee, who all appear in the video Lalah Hathaway Sings at BHCP Live! - Plus Interviews ( http://www.youtube.com/watch?v=Y-K4iLxp4fA ) shot by me, Ed Magik, producer of ED MAGIK TV ( http://www.edmagiktv.com ) . The video also includes highlights of the performance. The BHCP Live! free concert series does a lot to help bring the community together as one spirit. Thanks to Facebook.com, a number of my local friends attended this concert and several other live concerts at BHCP Live! with outstanding and reputable artists such as Goapele, Sheila E. and the E. family, Jon B. , as well as relatively new performers including, Cali Swag District, Aaron Fresh, Wonder Broz, and School Gyrls. The owner of Baldwin Hills Crenshaw Plaza, Capri Urban Investors, L.L.C., plans to give the plaza a $30 million upgrade. The renovation plans call for a vibrant, brand-new interior design, featuring a dining atrium, live entertainment performance area, and extensive exterior building, site and landscape improvements to the 43-acre property. The initial renovation is set to be completed before the 2011 holiday season. NEW YORK, Nov. 23, 2010 /PRNewswire/ -- R&B sensation R. Kelly returns to the stage with a medley of his hits, "Bump N' Grind," "Your Body is Calling," "When A Woman's Fed Up," "Happy People," and "When a Woman Loves" to open up the 2010 SOUL TRAIN AWARDS. Hosted by Oscar-nominated actors Terrence Howard and Taraji P. Henson, the 2010 SOULTRAIN AWARDS will premiere on both CENTRIC and BET on Sunday, November 28 at 9:00 P.M.* and feature never before seen collaborations, performances and appearances by Erykah Badu, Michael Baisden, Eric Benet, Fonzworth Bentley, Just Blaze, Kid Capri, Chilli, Keyshia Cole, El DeBarge, Faith Evans, Kim Fields, Cee Lo Green, Steve Harvey, Ray J, Tom Joyner, Kem, Biz Markie, Ne-Yo, Keisha Knight Pulliam, Lamman Rucker, Raven-Symone, SWV and more. CNN's Wolf Blitzer, a longtime fan of Soul Train, steals the show when he took to the stage with Doug E. Fresh to do the "Dougie" dance and later accepted an award on behalf of Eminem, who could not attend. Although the show did not offer an official Soul Train line, hosts Terrence Howard and Taraji P. Henson tore up the stage with a rousing dance off to "Hot Toddy" and "Whip My Hair;" "Stanky Leg" and "Rude Boy;" and "How Low Can You Go." Anita Baker proved she was a fortunate woman with a passion for music when she accepted her Legend Award after a tribute from a powerhouse of female vocalists—Chrisette Michelle, Faith Evans, Tamia, Rachelle Ferrell, Lalah Hathaway and Dionne Farris—who performed a medley of Baker's hits from "Caught Up in the Rapture" to "Giving You the Best That I Got." Later, Erykah Badu brought her soul to the stage with an eclectic medley of "Out of my mind/Window Seat" that featured light instillations combined with her unique style. And then the animated Cee Lo Green took his eccentric style to a new level with his performance of his hit song, "Forget You." Hip hop superstars Biz Markie, Just Blaze and Kid Capri presented the winner of the "Best Hip Hop Song of the Year" and serenaded the crowd with Biz Markie's hit song, "Just a Friend." Eminem, the category winner, was not in attendance to receive the award so Wolf Blitzer accepted on his behalf stating "Eminem can't be here so who better to accept this award. I know he's thrilled so on behalf of Eminen and everyone else, thank you." The comedic genius Steve Harvey presented Ron Isley with the second Legend Award for the night. R&B heavyweights Keyshia Cole, Bilal, Tank, El DeBarge, Eric Benet, Peabo Bryson, Jeffrey Osborne and Freddy Jackson serenaded the icon with a medley of his greatest hits. After his acceptance speech, Ron Isley performed his sultry songs "Between the Sheets" and "What I Missed the Most" and later collaborated with Chante Moore and R. Kelly for the throwback hit, "Contagious." Best Dance Performance - Ciara, "Ride"
The SOUL TRAIN AWARDS is produced by Sunseeker Media and directed by Jonathan X, in collaboration with BET Event Productions. Paxton Baker, CENTRIC Executive Vice President and General Manager, Tami Willis-Arasli, CENTRIC Vice President of Specials and Music Programming; Bart Phillips, Sunseeker Media; and Soul Train Holdings' Kenard Gibbs, and Anthony Maddox will all be the executive producers of the Network telecast. For more information, please visit www.centrictv.com. Beverly Hills, CA – The Academy of Motion Picture Arts and Sciences today announced that 15 films in the Documentary Feature category will advance in the voting process for the 83rd Academy Awards®. One hundred-one pictures had originally qualified in the category. The Documentary Branch Screening Committee viewed all the eligible documentaries for the preliminary round of voting. Documentary Branch members will now select the five nominees from among the 15 titles on the shortlist. The 83rd Academy Awards nominations will be announced live on Tuesday, January 25, 2011, at 5:30 a.m. PT in the Academy’s Samuel Goldwyn Theater. Academy Awards for outstanding film achievements of 2010 will be presented on Sunday, February 27, 2011, at the Kodak Theatre at Hollywood & Highland Center®, and televised live by the ABC Television Network. The Oscar presentation also will be televised live in more than 200 countries worldwide. New York, NY -- The nation's parents and teachers have a new television show to call their very own. The Education SuperHighway, a non-partisan Sunday morning nationally-syndicated half-hour education themed news program will premiere on November 21st, concluding American Education Week. Hosted by Reverend Al Sharpton, The Education SuperHighway is a joint production of Sharpton Media Group and ESH Holdings, a New York-based new minority-owned multimedia company dedicated to providing public discussion of ongoing inequalities in education as well as health and civil liberties. Said Rev. Sharpton, "Our children are engaged in a great global race to the top. Educational parity with the rest of the world is the key to our country's long-term success as an economic, political and cultural competitor. We must convince parents, policymakers, and all concerned citizens, that this is a race we cannot afford to lose. It is my ambition that our Sunday morning broadcast be a forum for that very important discussion." The American education system is seen by many as broken and a shadow of its former self. They see an education system that spends hundreds of billions of dollars while churning out millions of unprepared students. What this viewpoint fails to appreciate is that the American education system includes hundreds of brilliant professionals, thousands of innovative teachers, and millions of hardworking and accomplished students. There are problems in the system, but there is no lack of success. The Education SuperHighway, created and executive produced by award winning writer/producer Ruth Adkins Robinson and her producing partner Maurice P. James of Mojo Pictures, will focus on all aspects of the American education system. "The weekly magazine, information show format will provide the opportunity to take a penetrating look at the complex issues of the national report card --just how well we are doing in the critical job of educating America's children," Robinson said. "Important elements of the show include regional reports, probing interviews with policy makers, education from the youth point of view and a look at what's working in neighborhoods and school systems all over the United States," she continued. "On his weekly roundtable discussions, Rev. Sharpton will take a look at the political, business, and social leaders who shape the current education debate. This weekly half-hour has something for all the stakeholders in education." The November 21st broadcast of The Education SuperHighway is a special broadcast, which will be followed by a full season of shows beginning in late January 2011. 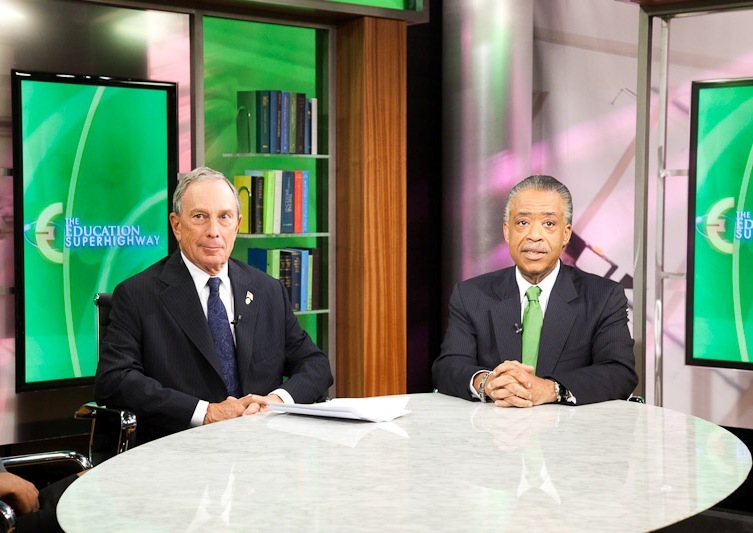 This week New York City Mayor, Michael Bloomberg, joins Rev. Sharpton and his special guest: Tamika Mallory, executive director of the National Action Network, in a round table discussion on school funding and parental involvement in school reform. Celebrated the week prior to Thanksgiving, American Education Week began in 1921 with the National Education Association and the American Legion as cosponsors. The goal was to generate public awareness and support for education because of concerns over illiteracy. On November 16, 2010, President Barak Obama issued a Presidential Proclamation recognizing November 14 - November 20, 2010 as American Education Week. The Education SuperHighway will air in over 60 million TV homes including major markets such as New York on WWOR, Los Angeles on KCOP, Chicago on WPWR, and Dallas-Ft Worth on KDFI. In a unique showcasing of authentic cultural fare, four of Los Angeles’ top Mexican restaurants, founders of The Taste of Mexico Association, will join the bicentennial year festivities with an event that is sure to set the standard of Mexican cuisine and culture for years to come. The Taste of Mexico’s Bicentennial Celebration: 200 Years of Mexico’s Cuisine will take place December 4, 2010 from 5 p.m. to 10 p.m. at Vibiana (former Cathedral), 214 S. Main Street, Los Angeles. With the mission to embody, enhance and promote the authentic ingredients, flavors and traditions of Mexico’s cuisine, four LA restaurants - Frida Mexican Cuisine, Guelaguetza Restaurant, La Casita Mexicana and La Monarca Bakery - united to create The Taste of Mexico Association, a flagship organization of exponents of authentic Mexican cuisine in the United States. The founding members are natives of Mexico, passionate for their country and culture, and their staff adheres to traditional Mexican recipes developed and prepared by chefs with vast culinary experience in the different regions of Mexico, positioning them as the perfect proponents of Mexican food in this country. The Taste of Mexico’s Bicentennial Celebration will be a one-of-a-kind opportunity to sample top dishes from the members of the association in a beautiful setting accompanied by live music and entertainment. 200 years of Mexican Cuisine, The Taste of Mexico’s Bicentennial Celebrationwill provide the rare opportunity of unlimited food tastings of regional Mexican dishes from all of these top Los Angeles restaurants in one venue, along with drink sampling, including premium tequila and mezcal. An outdoor patio with live entertainment will include mariachi music sets as well as dance performances by regional troupes from Oaxaca and Jalisco. Guests will be treated to gift bags, and part of the proceeds of ticket sales will benefit the ecological organization Heal The Bay. Founded in 1985, Heal The Bay is an environmental advocacy non-profit organization founded to protect California's Santa Monica Bay, a region of the Pacific coast, for the people and marine life. Visited by most of Southern California, the beaches and bays of the coast are one of the most important natural resources of this region. Heal The Bay has methods of investigation, education, community action and promotion to accomplish this noble mission. Named for Frida Kahlo, one of the most celebrated personalities in Mexican culture, Frida Mexican Cuisine restaurant’s five locations provide diners with pan-Mexican cuisine as it is enjoyed today - as a blend of modern regional specialties and ancient flavors dating back to the Maya. From the Sopa de Tortilla to the Flan Napolitano, all of Frida’s food is prepared from scratch and features ingredients sourced from Mexico, with a complexity and fine caliber rarely encountered stateside. Founded by Oaxacan husband and wife Fernando Lopez and Maria Monterrubio, Guelaguetza revolutionized Americans’ perceptions of Mexican food by staying true to authentic Oaxacan recipes and ingredients, garnering attention and praise from top food critics and foodies, including Pulitzer prize winning journalist Jonathan Gold and celebrity chefs Martha Stewart and Rachel Ray. Recognized as the kings of Los Angeles's authentic Mexican cuisine by celebrity chef Bobby Flay and as the best exponents of traditional Mexican gastronomy in California by publications such as The LA Times, LA Weekly, and La Opinion, La Casita Mexicana was founded by Jaime and Ramiro, two passionate promoters of authentic Mexican food, whose family recipes and the flavors of a youth lived in Jalisco fuel the taste of the restaurant that count Jose Feliciano, Don Francisco, and Mayor Antonio Villaraigosa as its clients. Nominated for the James Beard Foundation Award by Pulitzer Prize winning journalist Jonathan Gold, Jaime and Ramiro have been featured on Univision, CNN, and The Food Network, and have cooked alongside celebrity chefs Jamie Oliver and Marcela Vallalodid. Childhood friends Ricardo Cervantes and Alfredo Livas recreated the rich variety of breads and pastries (pan dulce) of their native Mexico through La Monarca Bakery. With a commitment to excellence, La Monarca Bakery boasts a skilled team of bakers that create a variety of cakes, pastries and breads from scratch, using traditional recipes with only top quality fresh ingredients, without the use of lard, trans-fats, preservatives, artificial ingredients or ready-made mixes. La Monarca Bakery strives to offer products and service of unique quality which have earned it multiple local and national media features including coverage on CNN, NBC, Univision, LA Times, La Opinion, LA Weekly and Eater LA, among others. The Taste of Mexico’s Bicentennial Celebration, an event produced by UNO Productions Inc.
Beverly Hills, CA – Fifteen features have been accepted for consideration in the Animated Feature Film category for the 83rd Academy Awards®. “The Dreams of Jinsha,” “The Illusionist,” “Summer Wars” and “Tangled” have not yet had their required Los Angeles qualifying run. Submitted features must fulfill the theatrical release requirements and meet the category’s other qualifying rules before they can advance in the voting process. Under the rules for this category, in any year in which 8 to 15 animated features are released in Los Angeles County, a maximum of 3 motion pictures may be nominated. If 16 or more animated features are submitted and accepted in the category, a maximum of 5 motion pictures may be nominated. [Los Angeles, CA] November 10, 2010 - Bent Outta Shape Productions and Mac Vision Entertainment announced today that television series creator Bentley Evans (The Jamie Foxx Show) has been tapped alongside writer-director Richie Mac to executive produce the upcoming romantic comedy Ship Wreck'd. Evans, creator of the television hit series The Jamie Foxx Show and co-executive producer of the long-running comedy series Martin, marks his debut as executive producer of Ship Wreck'd. Evans and Mac first worked together on Robert Townsend and Keenan Ivory Wayans' Hollywood Shuffle. They join forces again on Ship Wreck'd, which centers on a middle-aged man attempting to revitalize his life by embarking upon an exotic vacation, only to find himself caught between saving his marriage, saving his business and navigating a series of mishaps and temptations along the way. Richie Mac commented, "We are thrilled to have a creative veteran like Bentley Evans join our project. This collaboration has been a long time coming, and teaming up brings an additional element of comedic sensibility to the production." Dubbed "The Hangover on a cruise ship", Ship Wreck'd is currently in pre-production and is set to begin principal photography in early 2011. Mac Vision Entertainment is a full service production company headed by director-producer Richie Mac, currently having the 2nd most viewed directed-produced music video in the history of MTVmusic.com. Mac Vision Entertainment is presently producing various projects including their latest creation "Tales from the Other Side" an episodic television show similar to Twilight Zone, as well as various music videos under Nick Cannon's N credible entertainment. NATURAL IS A BEAUTIFUL THING! "Is Your Hair Style Killing You?" The Wooli Me Expo will again address itself as a Holistic Expo that addresses the mind, body and spirit. "A Natural Reality: Living it and Loving it"
See the Wooli Me Video! We will be streaming live! for all your holiday shopping! Come out and patronize our African American Businesses! This exciting expo is desigend to educate, empower and inspire all that attend. We recognize that beauty and self-confidence are intrinsically linked. The "Wooli Me" Natural Hair Movement is designed to ignite, support and sustain conversations by, for and about women of color wearing their Natural Hair, serving as the catalyst for a movement that effects positive change. Enter our Natural Hair Show and automatically be entered in the Wooli Me Natural Hair Contest. EOne Entertainment/SKD USA have released the independent feature film “Dreams and Shadows” on dvd. Written and directed by critically acclaimed music video director Tamarat Makonnen, the film stars veteran actor James Russo and up and coming talent Shawn-Caulin Young. "Dreams and Shadows" was produced through Filmwalker Productions. Billy (Shawn-Caulin Young, Knock Knock) is a teenage outcast who drifts into his vivid imagination to escape his bleak surroundings. His father (James Russo, Donnie Brasco, Public Enemies) is a paraplegic whose own dreams of happiness have faded away in an alcoholic haze. In as twisted attempt to find his purpose in life, Billy hatches a plot to seek vengeance on the man who allegedly crippled his father many years ago. However, he soon finds that things aren't always what they seem, as his mission for revenge may ultimately become one for his very own survival. "Dreams and Shadows" is actor James Russo's 99th film in a career that spans over three decades. Russo received his first big break in the film "Fast Times at Ridgemont High" (1982). Known for portraying gritty and intense characters, one only needs to be reminded of his sadistically sexual role in "Extremities" on stage (in which he won a 1983 Theatre World) and in the film (in which he terrorized Farrah Fawcett), to recall how chillingly effective he can be. Other roles in films include Kevin Costner's "The Postman" (1997) and "Open Range" (2003), plus "Beverly Hills Cop" (1984) and "We're No Angels" (1989). He's also appeared in several films with Johnny Depp including "Donnie Brasco" (1996), Roman Polanski's "The Ninth Gate" (1999) and the recently released "Public Enemies" directed by Michael Mann. Known for pushing the creative envelope, Tamarat has composed a notable body of work that is cinematic, stylized, and visually striking. Having directed and array of music videos, EPKs (electronic press kit), and documentaries his projects have aired on MTV, BET, and Muchmusic (Canada). "Dreams and Shadows" marks his feature film debut. "Laughin" from the Bay Area's Dynamic Duo Known as The HoodStarz Feat. David Banner. Olympic gold-medalist Brian Boitano and musical guest Heart star in Musselman’s Apple Sauce presents BRIAN BOITANO SKATING SPECTACULAR, a new theatrical figure skating event to be broadcast on NBC Sunday, December 26, 2010 from 4:00 – 6:00 PM ET / 1:00 – 3:00 PM PT. Special guest stars include three time National Champion and two time World Bronze Medalist Michael Weiss, as well as eight time British National Champion Steven Cousins, US Silver Medalist Ryan Bradley, World Champion Yuka Sato, two time World Professional Pairs Champions Elena Leonova & Andrei Khvalko, seven time British National Champions Sinead & John Kerr, and American Open Champion and specialty act Irina Grigorian & Mikhail Panin. The one-night-only gold medal spectacular will be taped on the Tyson Events Center in Sioux City, Iowa. Tickets for the one-night event are: $45, $35, and $22. Tickets may be purchased at the Tyson Events Center Box Office, all Ticketmaster locations, online at www.ticketmaster.com, or charge by phone at 800-745-3000. For more information regarding the Tyson Events Center / Gateway Arena, please visit www.tysoncenter.com. Tickets for Musselman’s Apple Sauce presents BRIAN BOITANO SKATING SPECTACULAR starring Heart are currently on sale. Metabolife has also committed to be a Presenting Sponsor of this live show and NBC telecast. Musselman’s Apple Sauce presents BRIAN BOITANO SKATING SPECTACULAR will feature a live musical performance by the band Heart. HEART sold more than 30 million records, had 21 Top 40 hits, sold out arenas worldwide, and had a profound influence on rock music. In 2010, HEART released their first new album in six years, Red Velvet Car. Musselman’s Apple Sauce presents BRIAN BOITANO SKATING SPECTACULAR is directed and choreographed by Renee Roca, three-time U.S Champion. This is Renee’s 6th year directing and choreographing Boitano’s show. Executive Producer is Disson Skating. White Canvas Productions is the producer (Scott Williams, Producer and Brian Boitano, Artistic Director.) Comcast-Spectacor entered into a partnership with Disson Skating in January of 2006, to take figure skating to a whole new level and has quickly become the leading producers of televised ice skating shows in the United States and Canada. The lighting and set design is by David Finley Associates with costume design by Beaver Bauer.